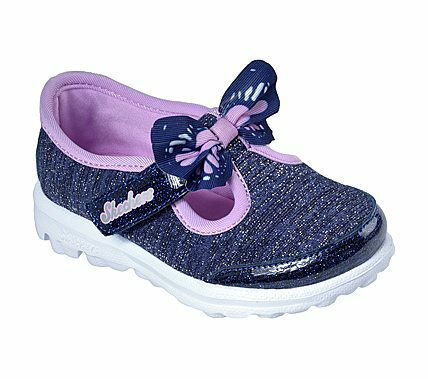 Add some pretty colorful style to her comfortable sneakers with the Skechers GOwalk - Bittyflies shoe. Soft sparkle knit fabric and shiny patent synthetic in a T-strap front athletic casual walking sneaker with stitching and overlay accents. Instep strap with butterfly bow detail.